The Bee Ranchers support the efforts of Project Apis m.
Hello to all the Bee Rancher supporters! The Bee Ranchers, LLC is excited to announce our support of the non-profit honeybee research group, Project Apis m. http://www.projectapism.org/. 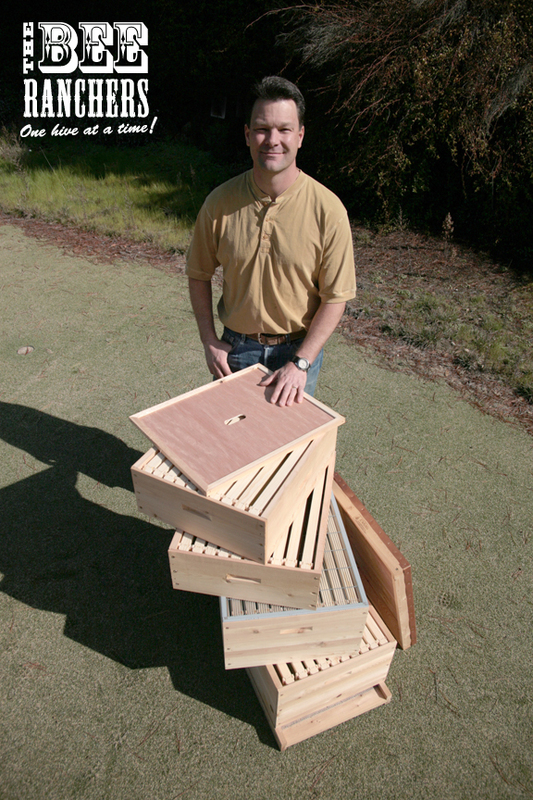 With every Bee Ranchers bee hive kit we deploy in the field since the founding of our company in 2011, we will donate $10 to Project Apis m. in support of honeybee research. We have always felt it is important to support the efforts of groups that are focusing their energies on the health of the honeybee and we feel Project Apis m. is the best, most direct way to do that. Project Apis m. is the largest non-governmental, non-profit bee research funding organization in the USA whose Board Members are well known, active beekeepers in the beekeeping community. PAm is funded by both beekeepers and growers throughout the country whose main goal is to enhance the health of honeybees, improve crop production potential and seek practical solutions for managed colonies. Their research efforts will certainly help you and I maintain healthy, backyard beehives. I encourage you to peruse PAm’s website, sign up for their newsletter and support them anyway you can. I have included their link on The Bee Ranchers website as well. As always, if you have any questions or comments please feel free to contact me via phone or email. 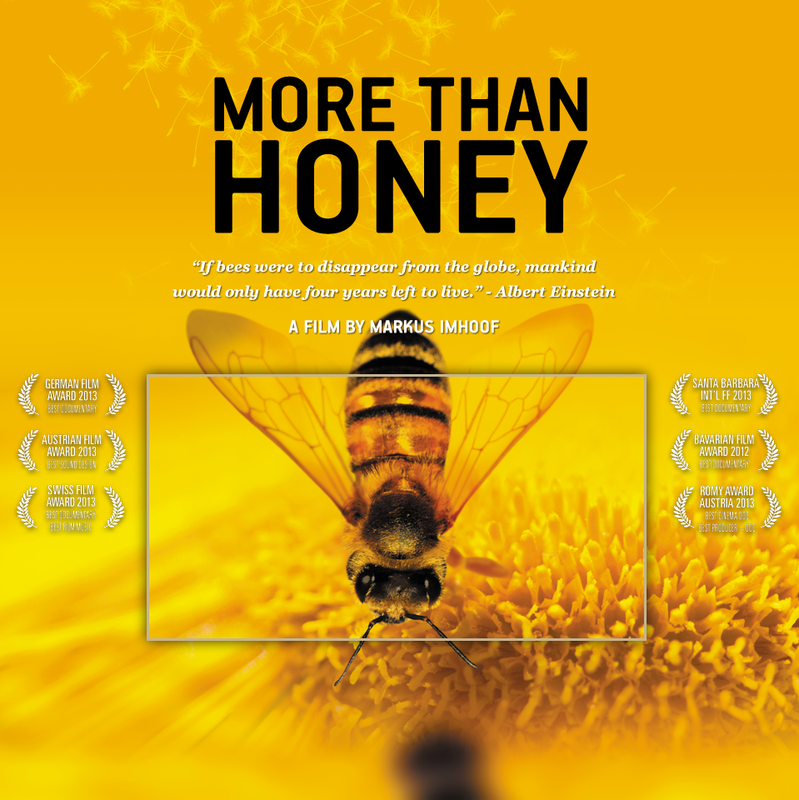 Thank you for your continued interest in honeybees. We are all about client service. I have been working with Mike Vigo of The Bee Ranchers since fall of 2011. After 2 years of a futile attempt by another “bee keeper“ I was introduced to Mike and the result was an exciting and immediate turnaround of growing positive momentum. His experience, knowledge and level of service takes this art to a fascinating and rewarding space for me. Nothing like enhancing your environment, watching the activity of the bees and harvesting your own honey! For anyone interested in beekeeping at any level, please offer Mike any courtesies available and he will guide you from “start to finish“ keeping you well informed along the way. I am sincerely thankful to Chris and all of my great clients that enable me to do what I enjoy doing best, supporting local honeybee populations within the Bay Area and sharing my knowledge with those with similar interests. 3 bedroom, 2 bath and backyard with really cool beehive! 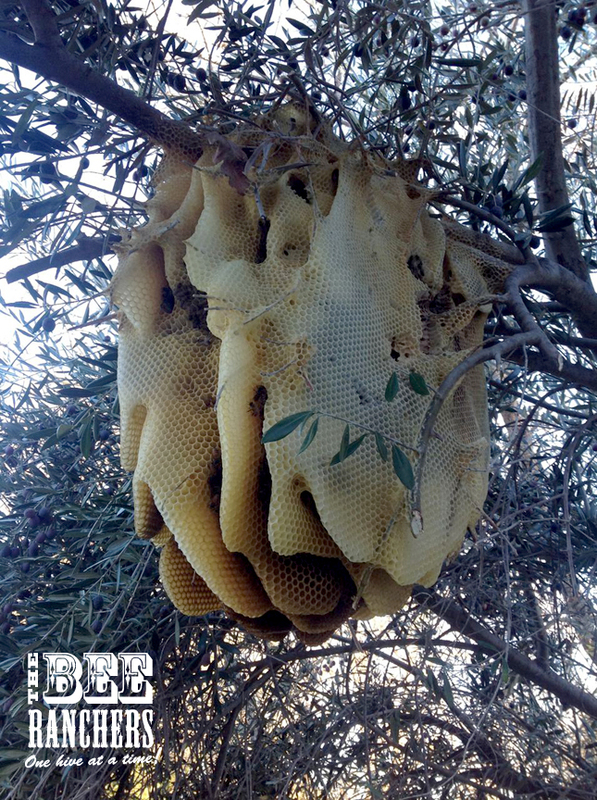 Luckily the owners who had been remodeling this house for over a year were not bothered by the natural beehive that had developed in the olive tree of their backyard. They were however not keen on keeping it there once they moved in. Thankfully they were smart enough to call a friend of Mike’s to inquire about removal/rescue option. Mike’s friend called him for assistance on the job. Mike was a bit surprised as it was in the dead of winter and roughly 32 degrees out. Mike curiously accepted the Mission. When they got to the home they were blown away at what they saw 15’ up in the tree. Long story short, they were able to “smoke” the bees a couple times to calm them, cut the main support branch and lower it carefully into a lined garbage can for transport. The hive is currently at Mike’s friends house with a brood box placed over it. The theory is the bees will naturally migrate up into the brood box and happily establish themselves in the bee box. This should take a few months to happen. 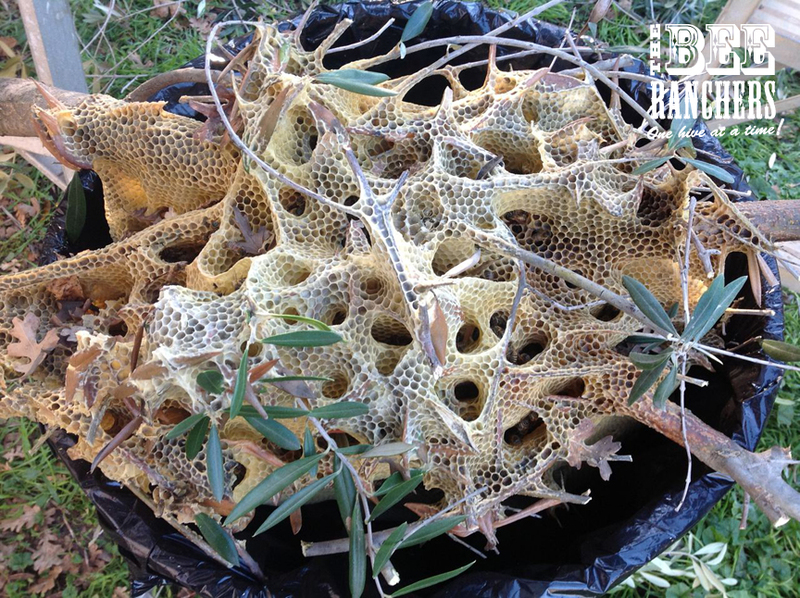 Mike was amazed at this hive having little protection from wind, rain and cold, yet it was absolutely thriving! 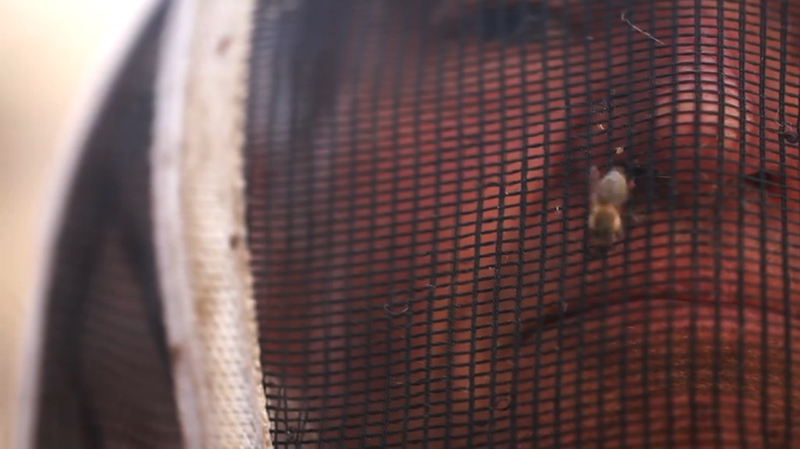 A testimony to how adaptive and strong honeybees can be. A very beautiful example of organic architecture. Ever run into a natural beehive like this? We’d love to hear about it! Well as we stated when we started this BLOG just over a year ago, we want to share the good and the bad with you all. There was a lot of good news to report over the past year! Unfortunately we have a spot of bad news to report. Mike came to check our hive a couple weeks back during his normal rounds and found very few bees within our hive. Mike was able to find the Queen but the population of the hive struck Mike as extremely low in numbers. This hive has always been observed as healthy. Naturally a hive’s population begins to thin out as Winter draws near, this did not strike Mike as a natural drop. Mike reduced the hive down to just one brood chamber and we’ve inserted a entry restricter to help them defend the hive from “robber bees”. There is plenty of food stores for the size of the colony so now it will be a waiting and closely observing game. The unfortunate prognosis Mike gave is that there is a very real chance this hive will not survive the Winter. Very sad. We’ll keep you posted on how things go over the next month or two. Wish us and our honeybees luck! 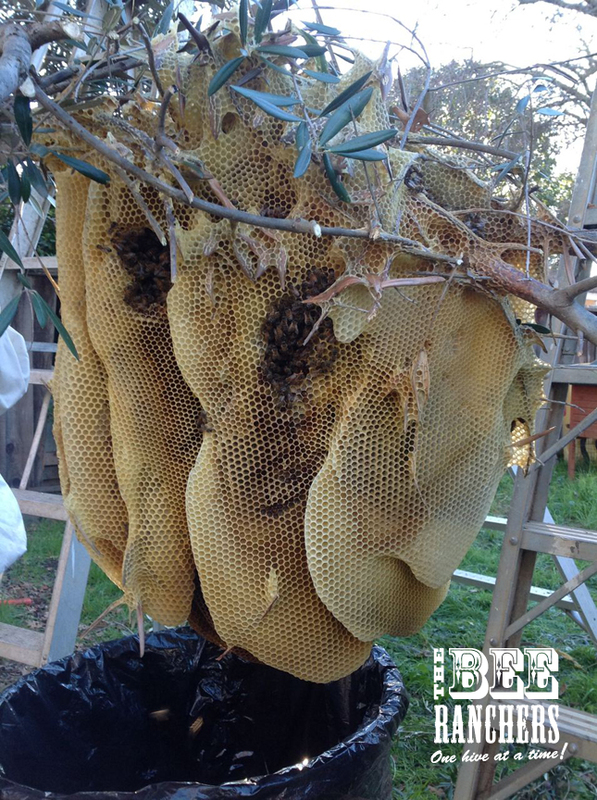 Have you had any issues with your hive this year? Drop us a line to tell us about it. 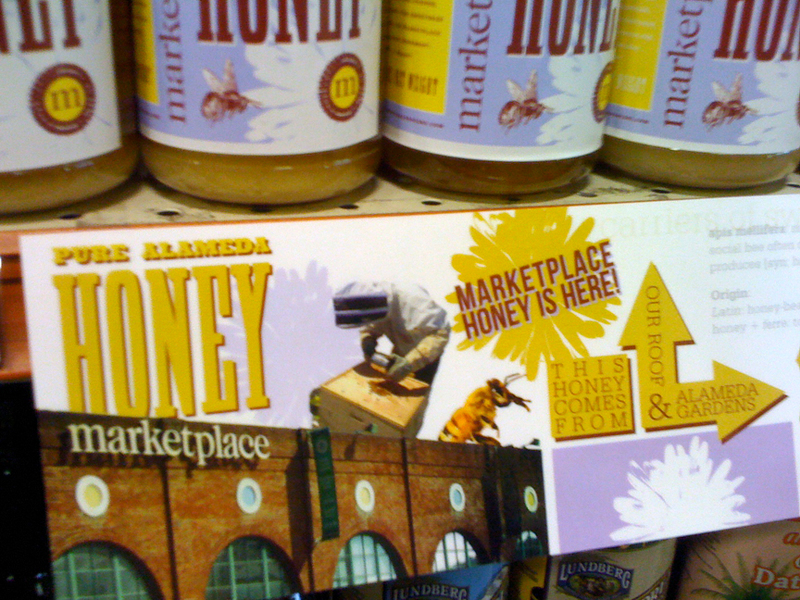 We’re pleased to see that Alameda Marketplace has their own private label honey on the shelves now! 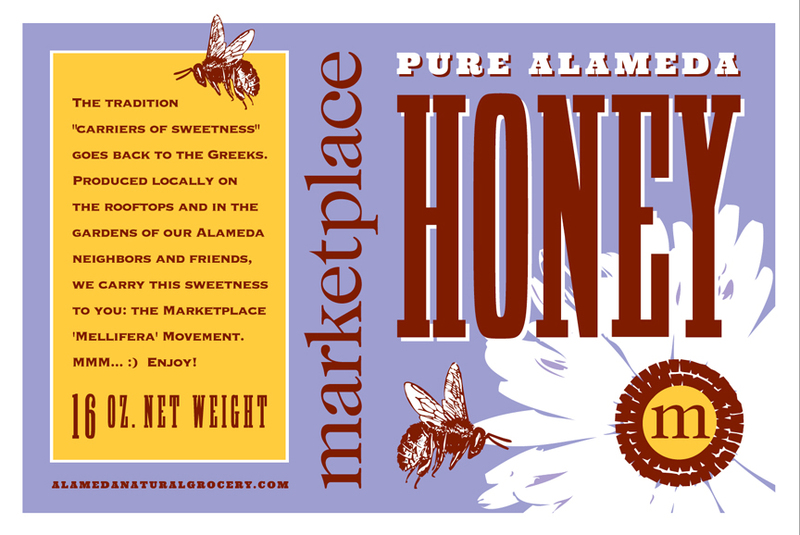 As many of you know Alameda Marketplace has been a great client of The Bee Ranchers. Earlier this year, they purchased hives from us and hired Mike to maintain them. The hives are located throughout Alameda as well as on their rooftop. It’s wonderful to see the fruits (nectar) of their passion and dedication come to reality with the end result being jars of wonderful local honey to sell to the residents of Alameda. And as Donna Layburn (owner) states, “The real focus is to educate our customers about the importance of honeybees and the environment. 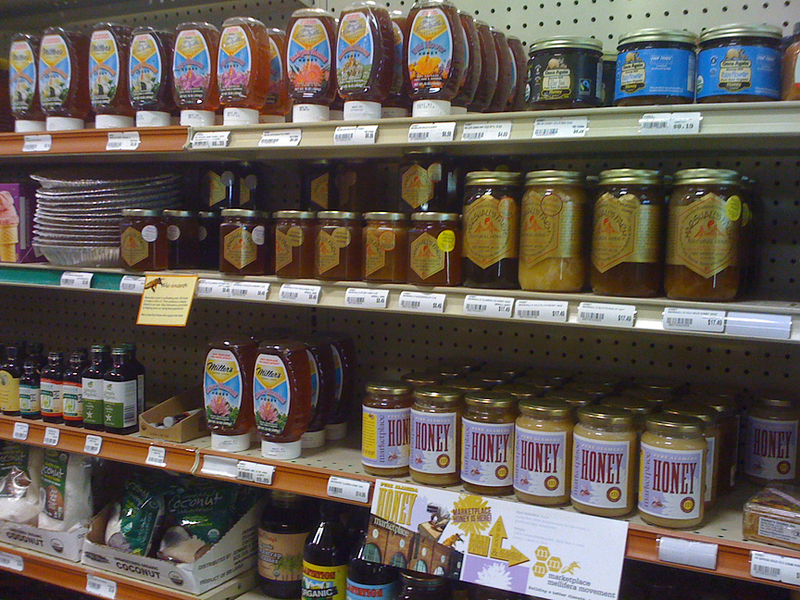 The honey just happens to be a very sweet, tasty and healthy by-product of supporting (ranching) honeybees”. 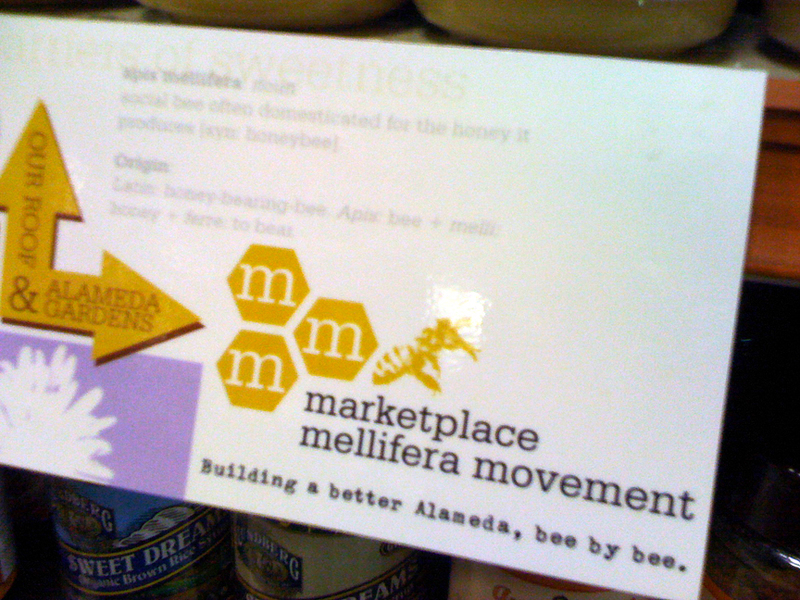 Once again we salute Alameda Marketplace for their dedication to support local honeybees and for being such a great client / collaborator in this important effort.